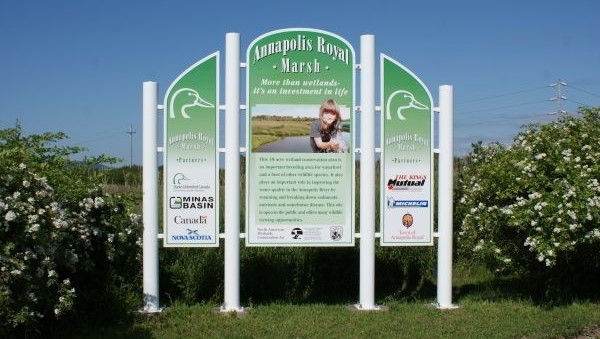 Located in Annapolis Royal, the French Basin Trail is a 45-minute walk around a Ducks Unlimited wetland. 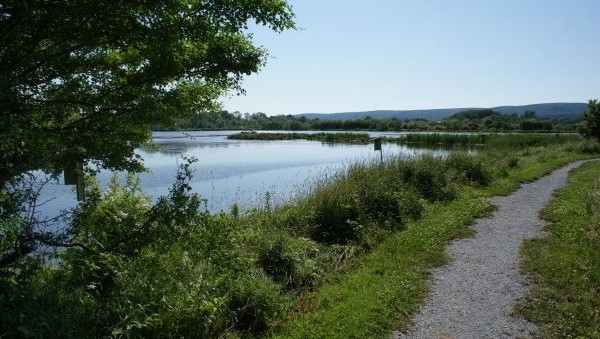 The well-maintained gravel trail around the marshland leads into the Rail Trail that goes East or West as far as your feet will take you. Keep an eye out for several species of ducks, geese, a family of muskrats, and much more. The French Basin Trail is 1.2 km and is great for walking/hiking, snow shoeing and mountain biking.